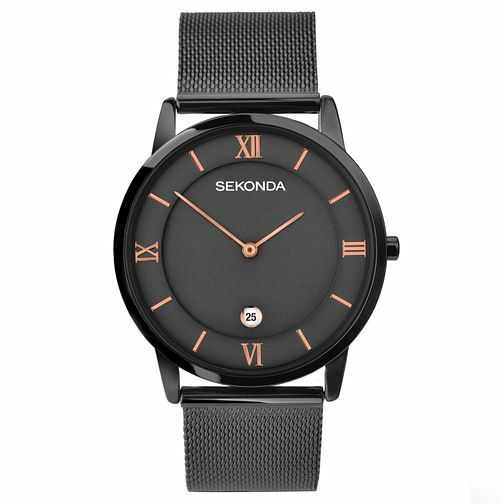 A simply chic black ion-plated mesh strap watch by Sekonda. Styled with a black dial with rose gold tone Roman markers and date window at the 6 o'clock position. Perfect for everyday, contemporary elegance. Sekonda Men's Black Ion-Plated Mesh Strap Watch is rated 5.0 out of 5 by 2. Rated 5 out of 5 by Anonymous from It looks and feels great. Brought it as a present and the receiver loved it.